The opening time trial of the 101st Giro d'Italia in Jerusalem hasn't even started yet, but the course has already caused the first abandon of the race. 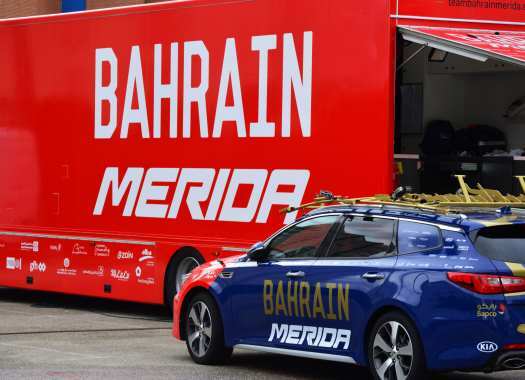 Chris Froome was seen limping after hitting the deck, and Miguel Angel Lopez escaped without injury following a fall, but Bahrain-Merida rider Kanstantsin Siutsou wasn't as fortunate. The Belarusian reportedly broke the third vertebra and will not be able to take part in the race. Siutsou was supposed to be one of the key helpers for Domenico Pozzovivo, and his absence is a major blow to the Italian's aspirations ahead of the grand tour. At 35, Siutsou is one of the more experienced riders in the peloton and was about to start his 16th grand tour, and his sixth Giro d'Italia in a row.